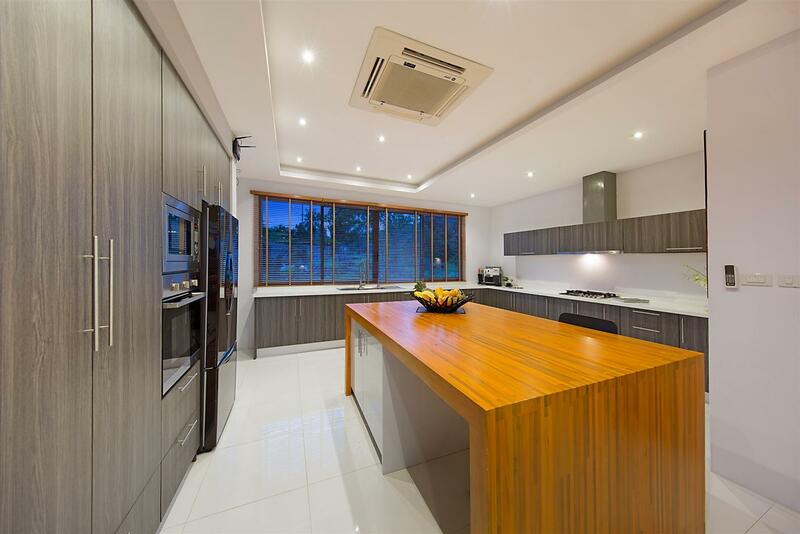 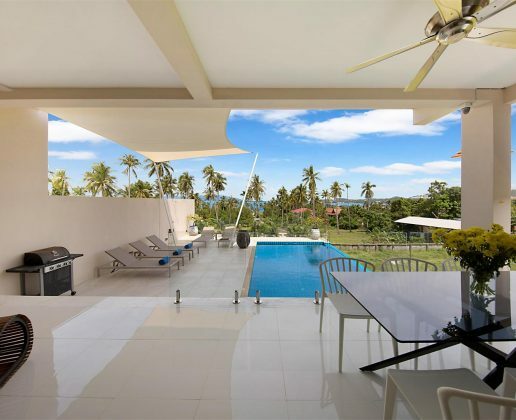 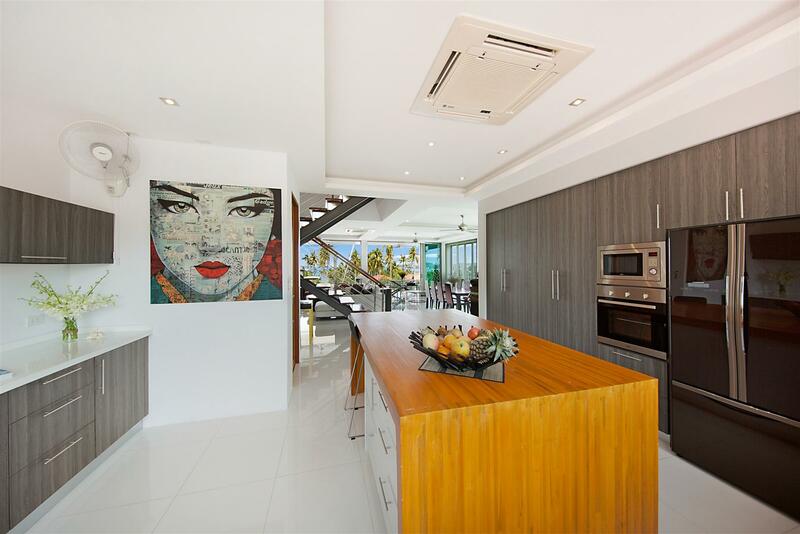 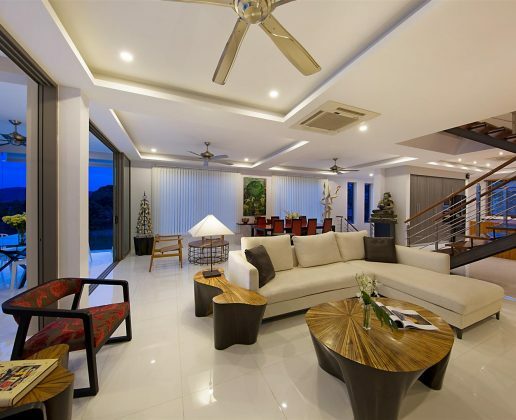 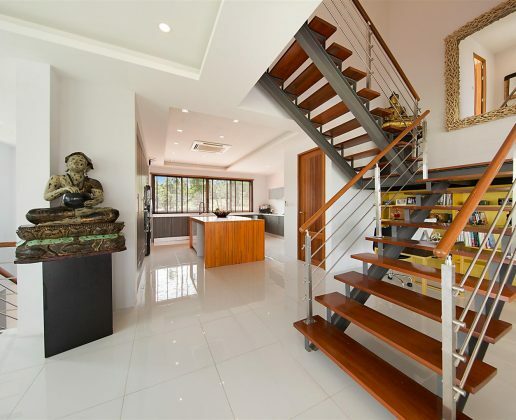 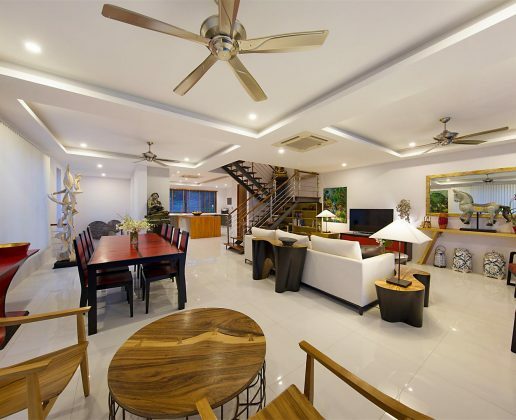 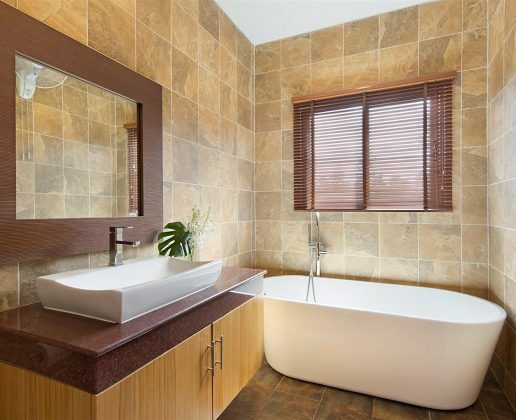 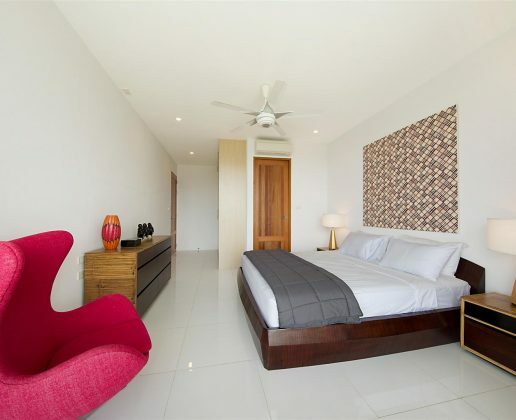 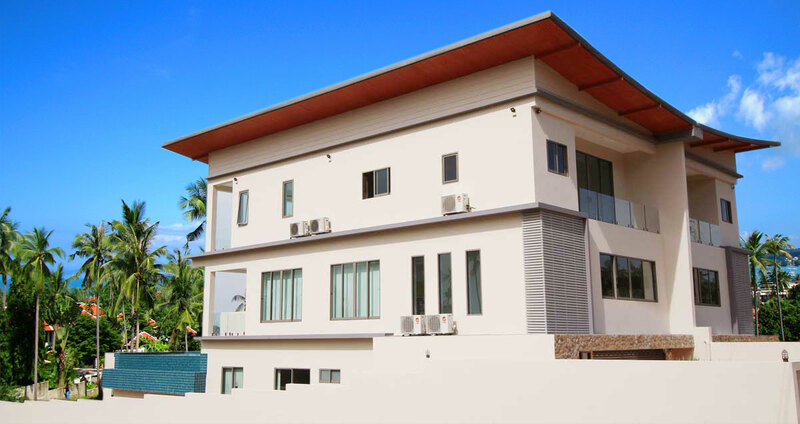 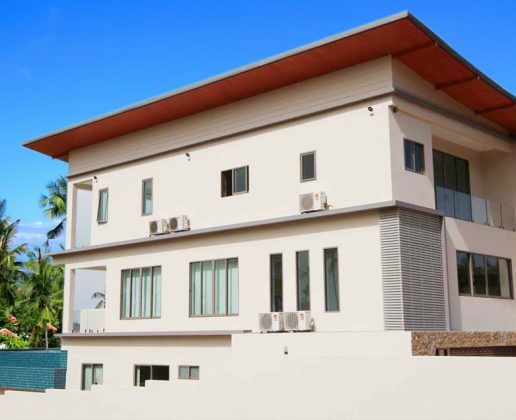 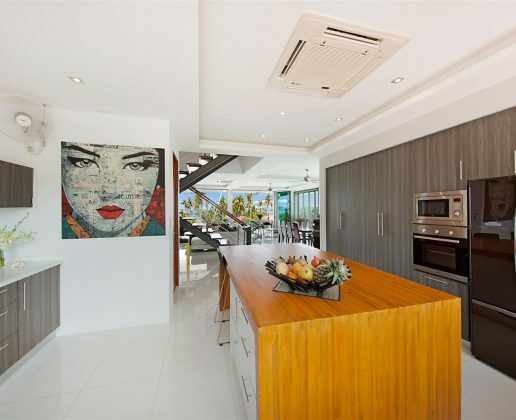 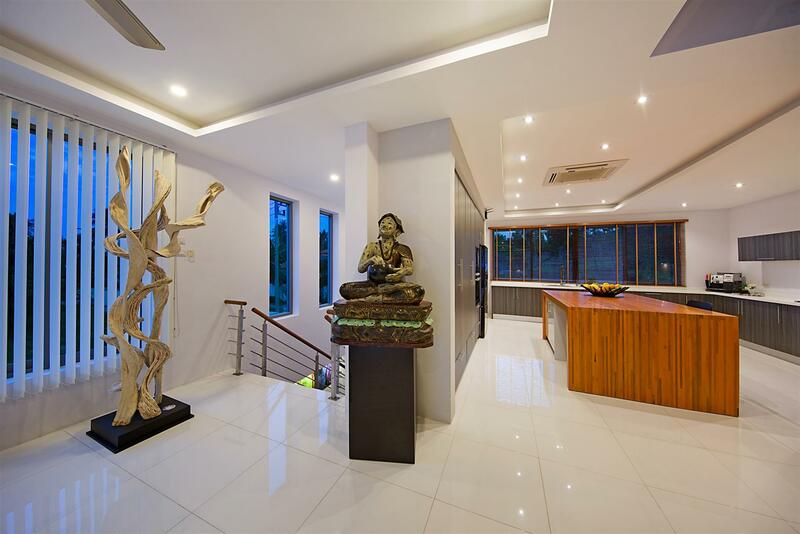 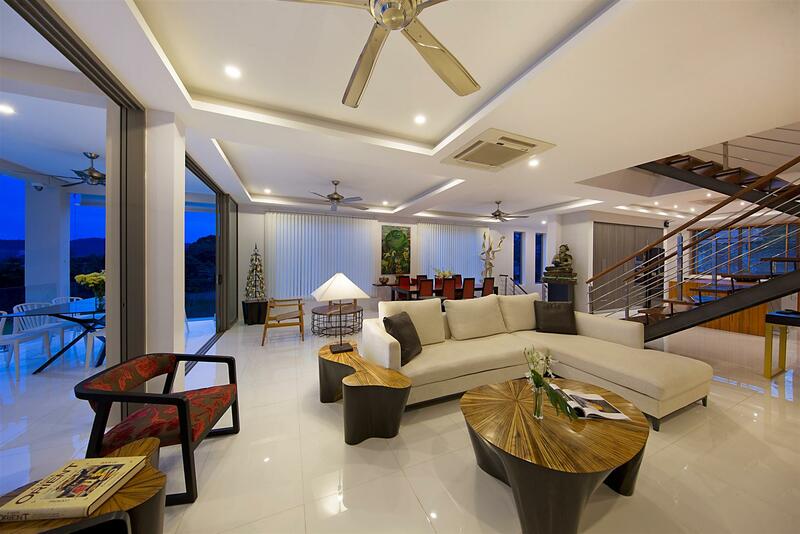 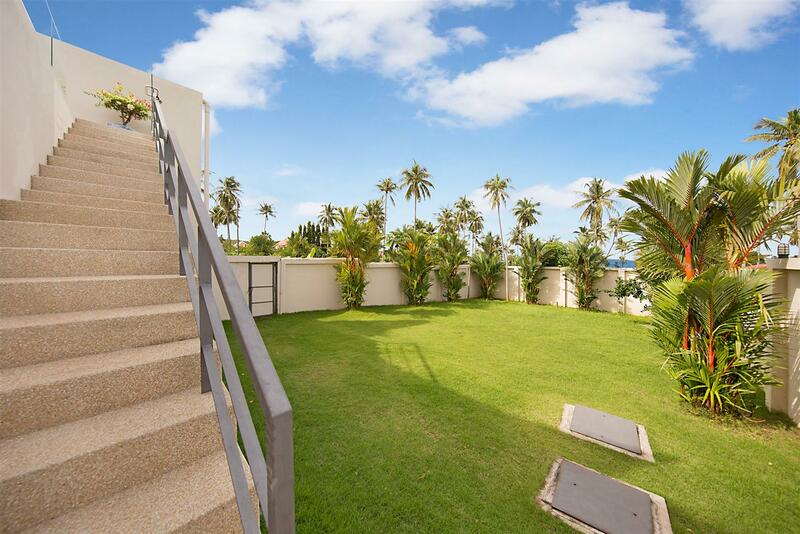 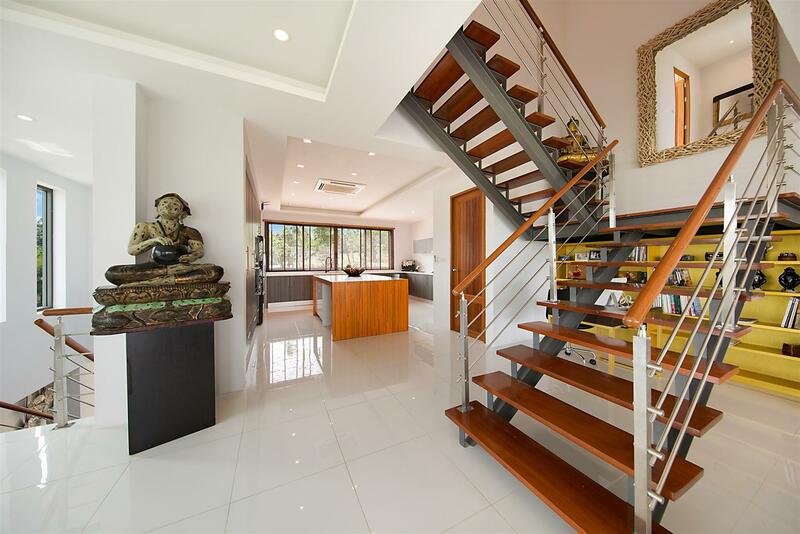 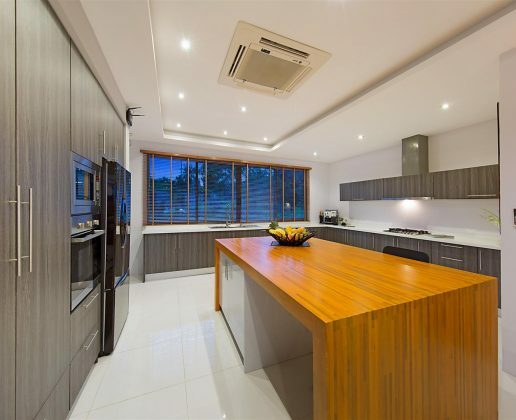 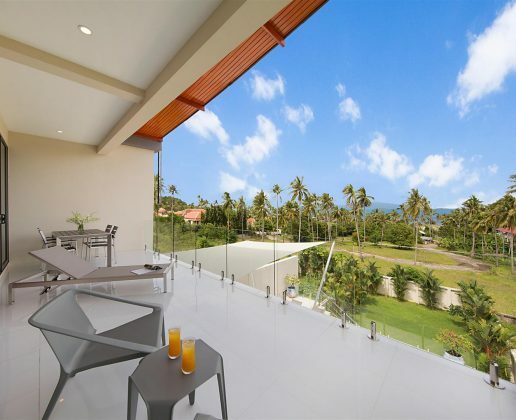 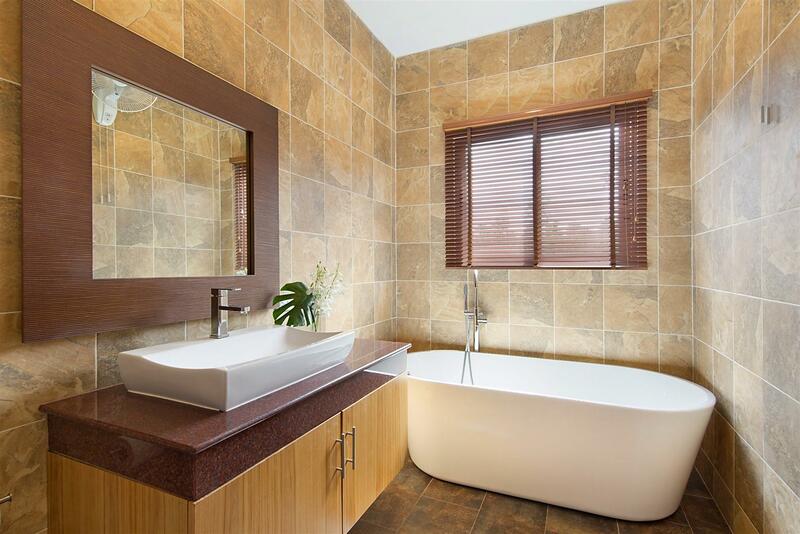 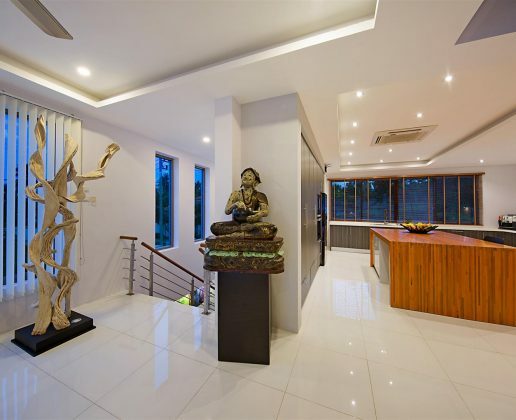 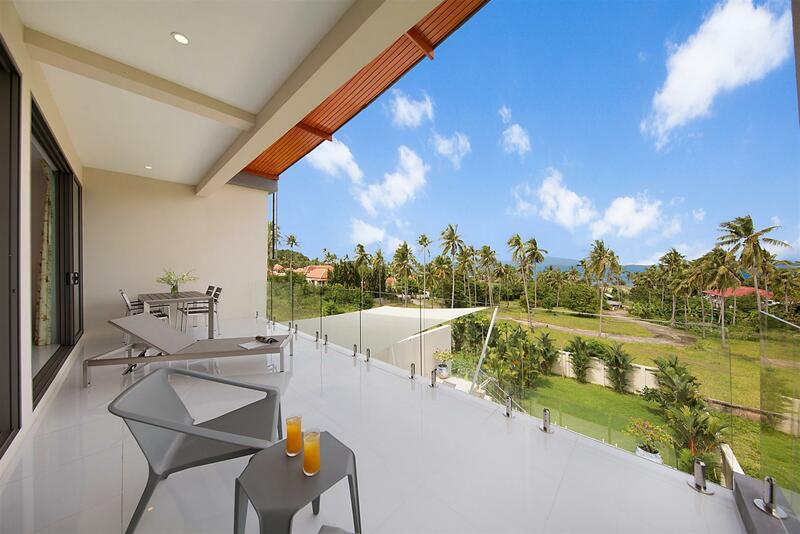 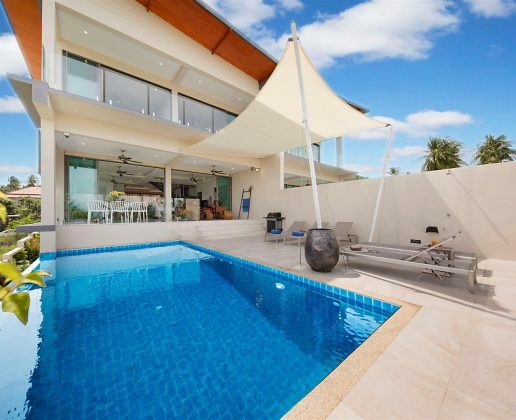 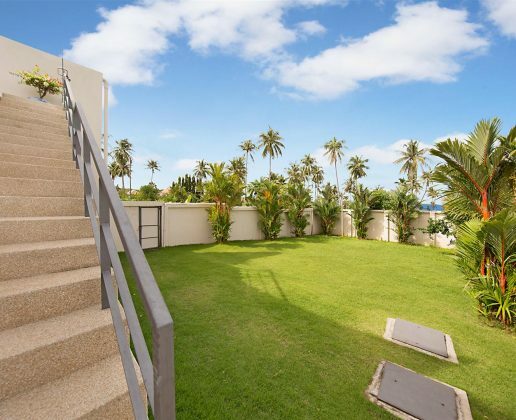 The house has approximately 466 Sqm’s of built up area, including 4 bedrooms, 5 bathrooms with 3 bedrooms having a large veranda to enjoy the palms and sea views. 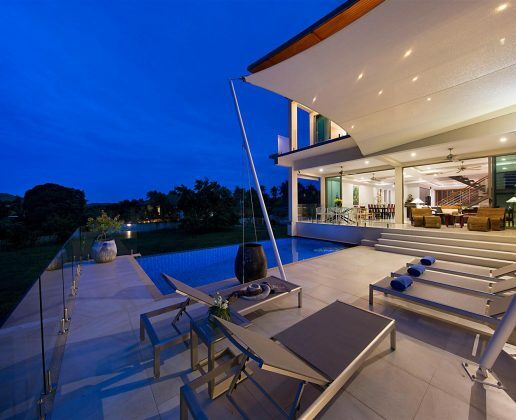 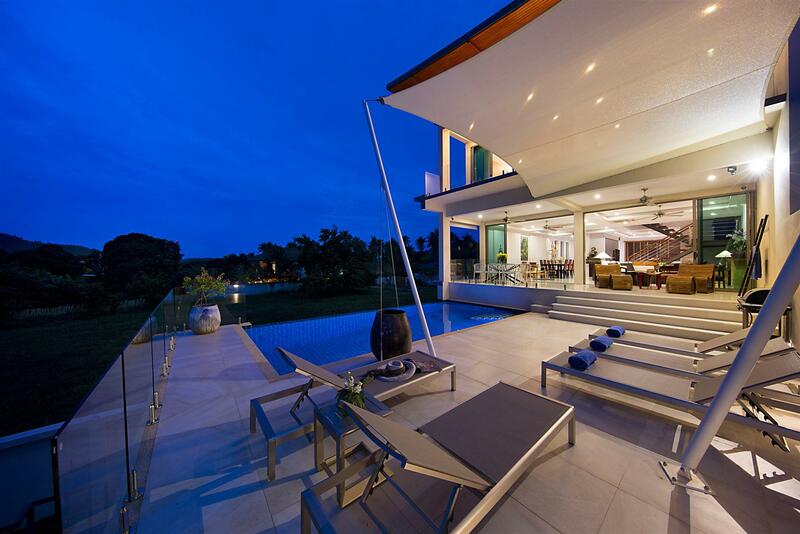 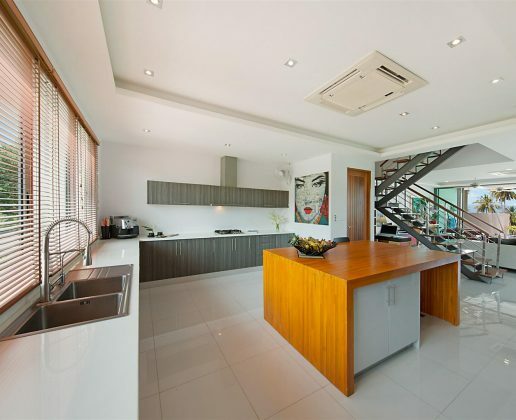 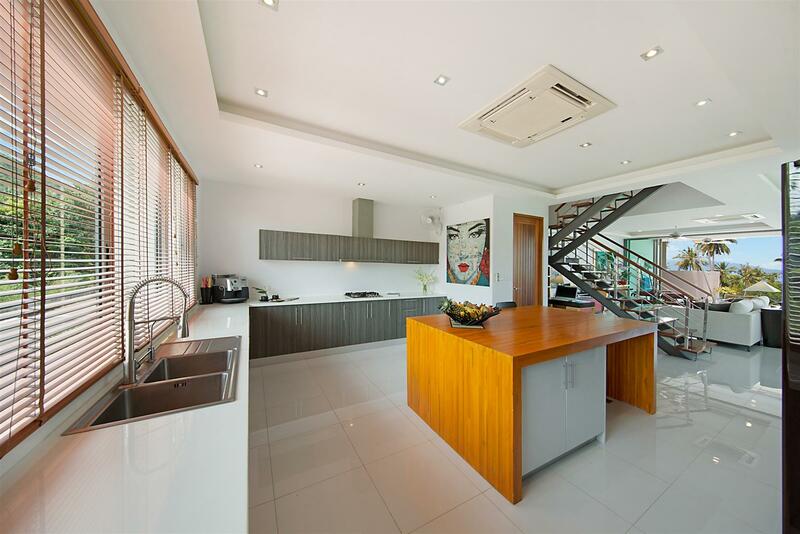 The house has a very large living dining room, open plan chef style kitchen. 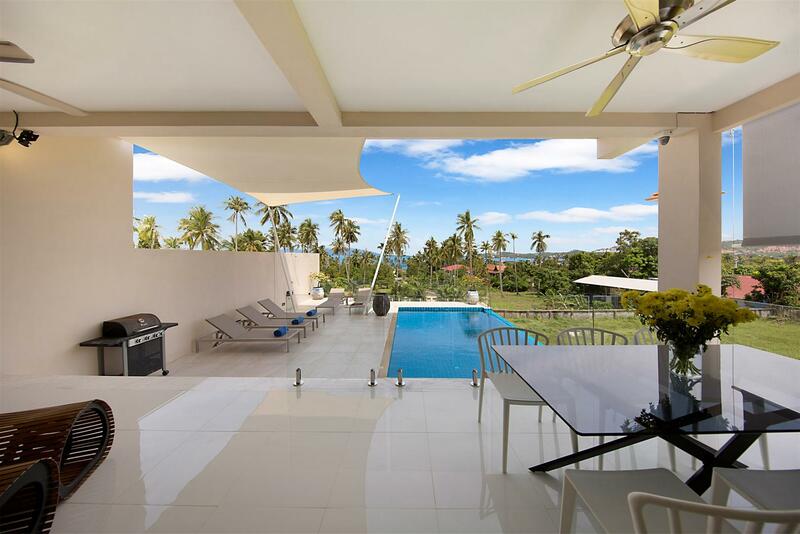 All leading to a large veranda overlooking the pool deck and salt water pool. 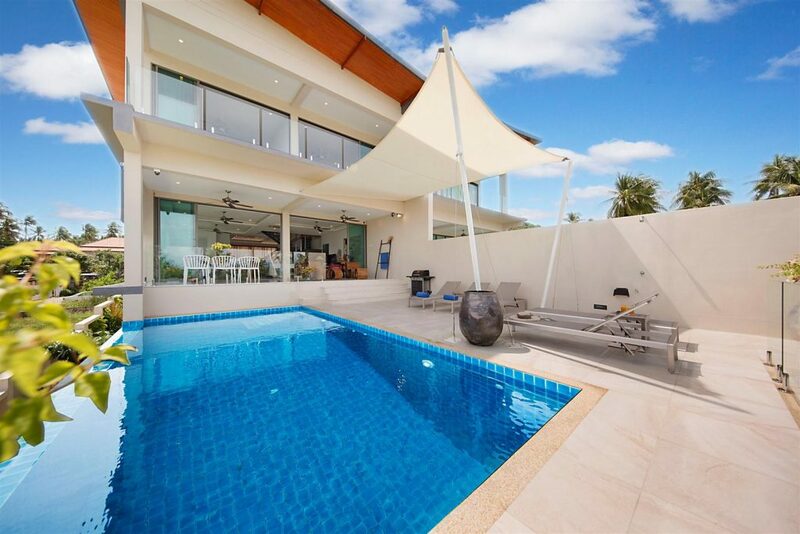 The large pool deck and salt water soft edge pool are ideal for a bbq’s and entertaining! 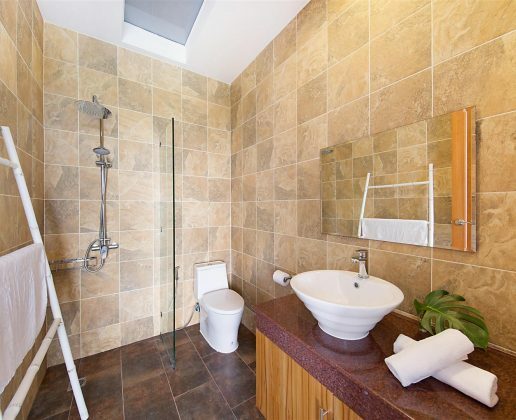 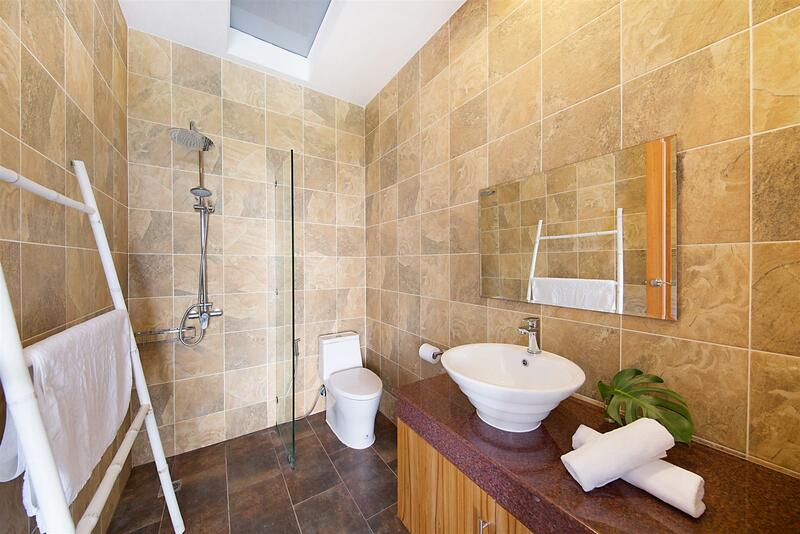 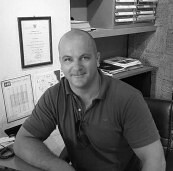 An additional area of about 100 Sqm’s on the ground floor is setup with a full bathroom and can be used as an apartment, home office, TV/games room, or gym. 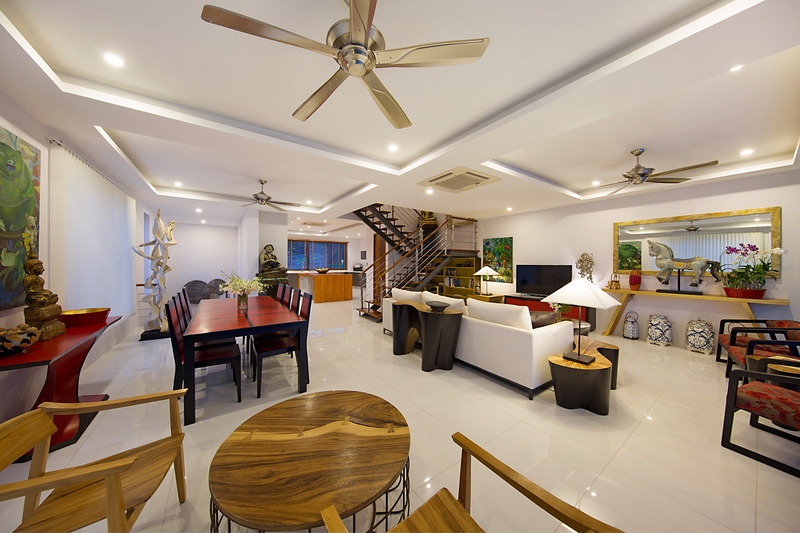 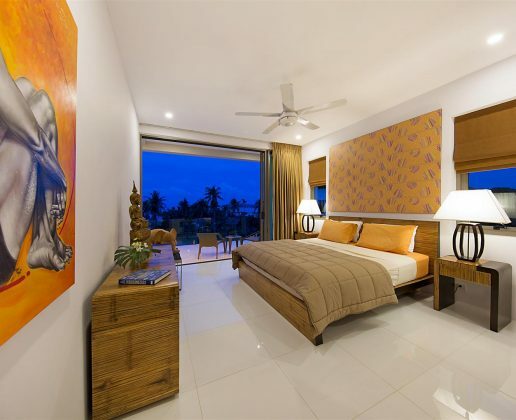 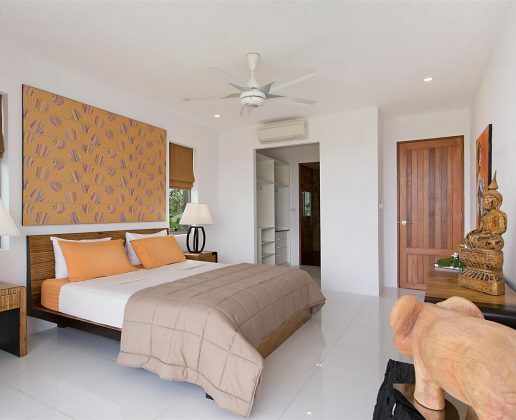 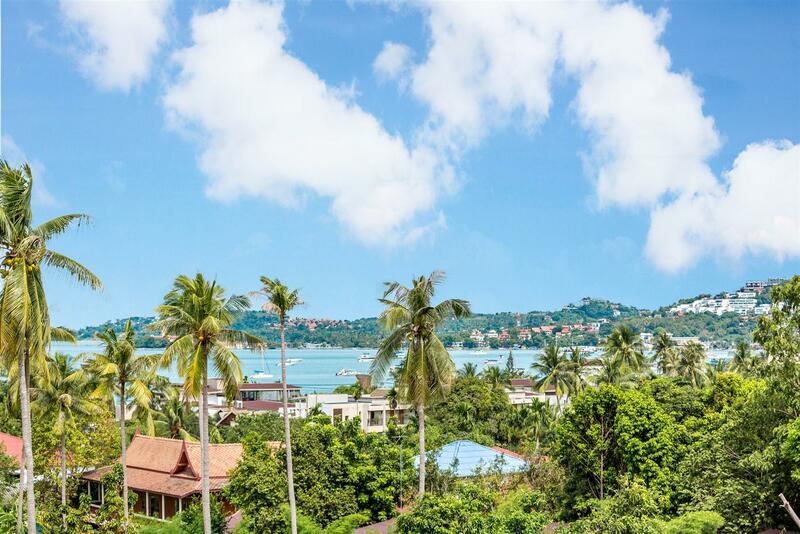 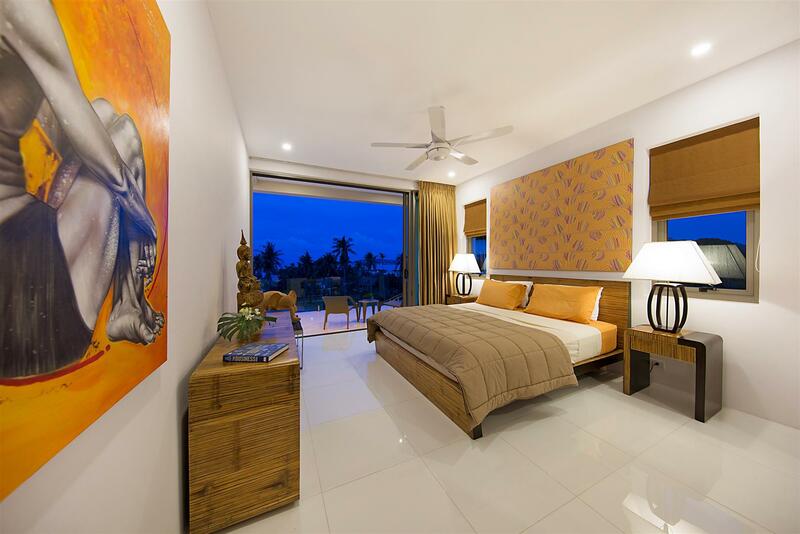 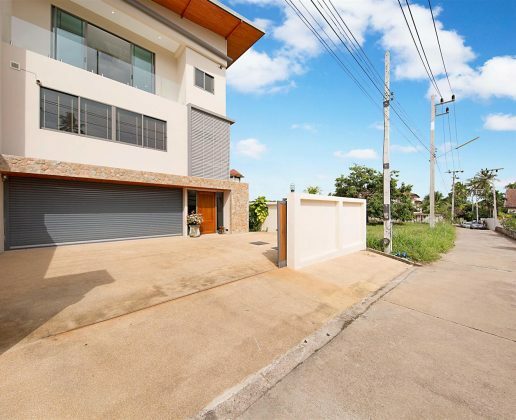 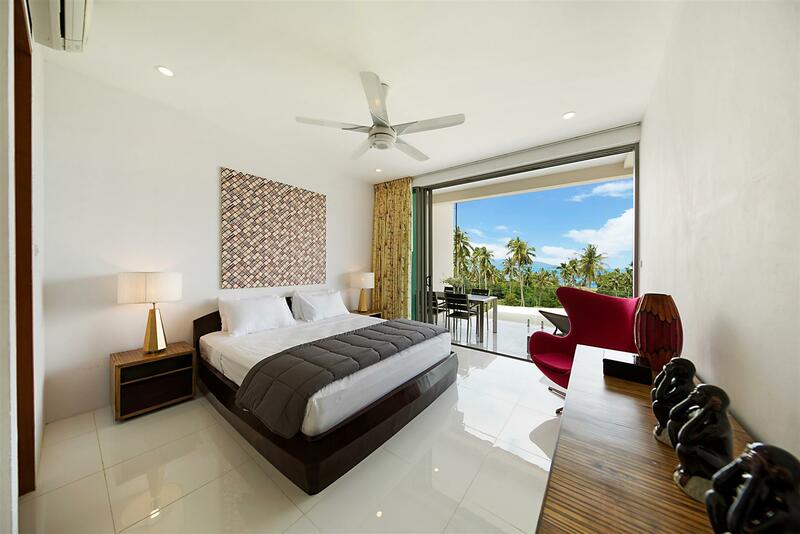 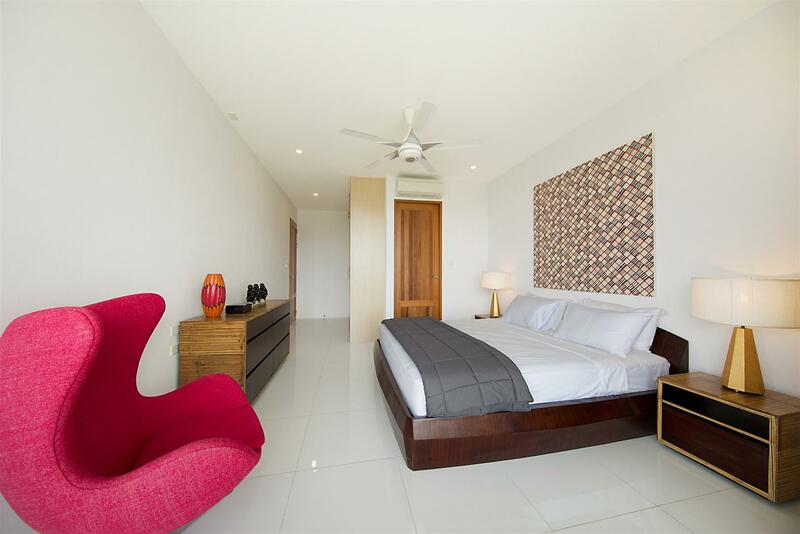 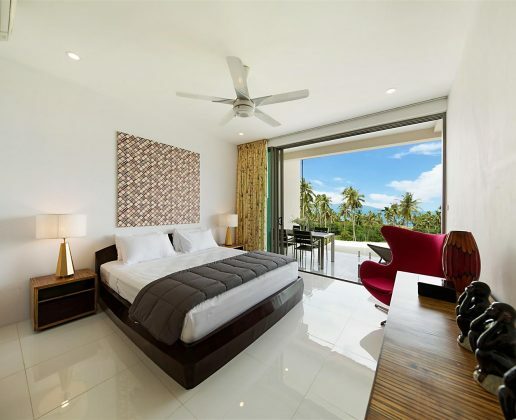 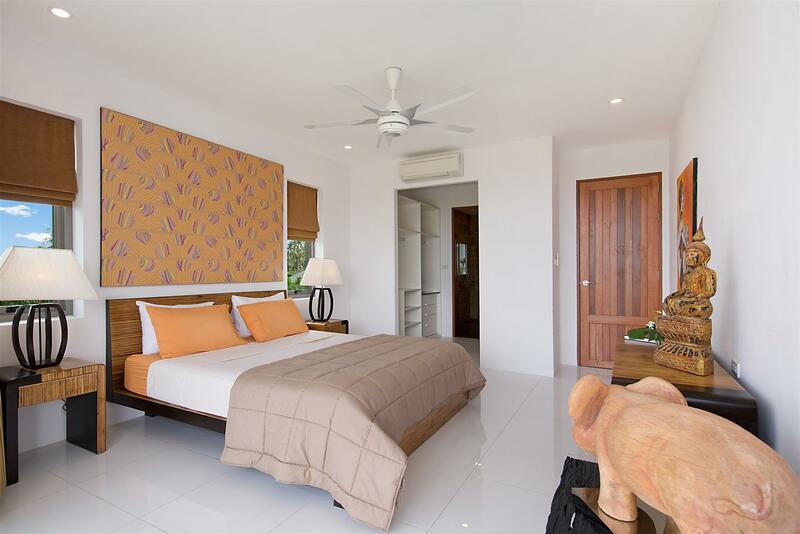 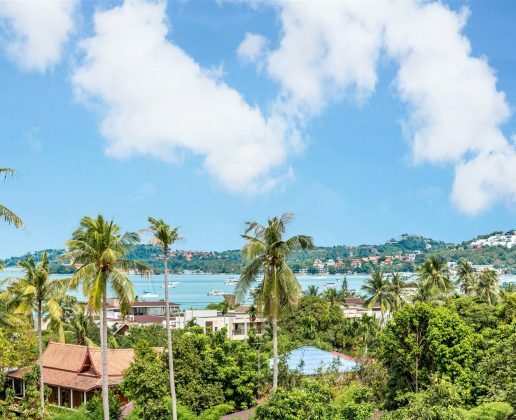 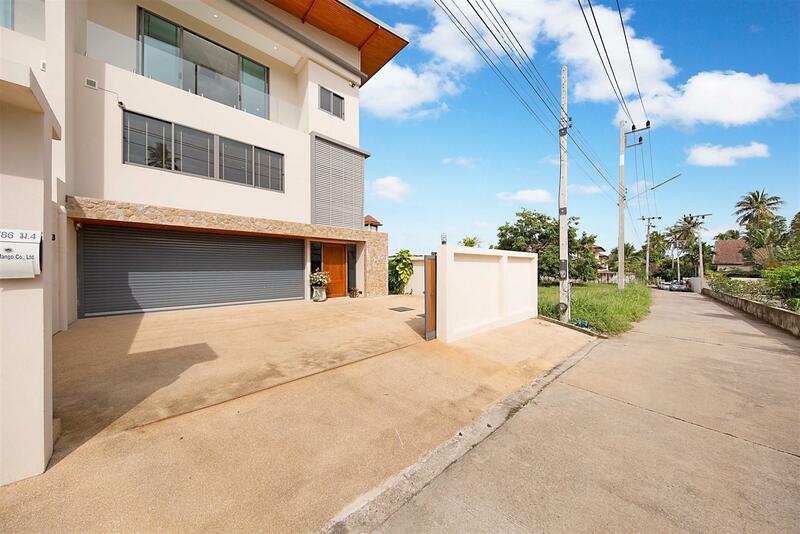 The house is located 300 meters from the beach (as the crow flies), and has easy access to the airport, International School, Big C, Tesco Lotus -and 10 mins from Central Festival shopping mall, Fisherman’s Village, Choeng Mon beach, and Chaweng beach.